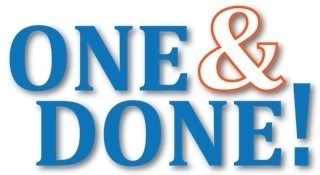 PTA Membership, One & Done Fundraiser, and more...All in one stop! If you are interested in purchasing items separately or adding onto your package, add your membership to your cart or make a donation for the One & Done! campaign further down the screen. Cobb PTA hosts ONE active fundraiser per year to pay for valuable resources and programs for your children and Cobb's teachers. Enter your donation amount in the "Qty" field and it will be multiplied by $1. Give input for decisions like spirit wear, Cyclone Celebration events, etc. Receive a FREE pass to enter the Cyclone Sock Hop Social event on September 7. Please enter your donation amount in the "Qty" field, then click "+Add to Cart". This will be multiplied by $1 and placed in your shopping cart.